I did a quick trip to city of Rovaniemi in January when I visited Finland as part of the Nordic Bloggers’ Experience. It had been almost 20 years since my last visit to Lapland, and my first time flying there. It is only an hour and 15 minute flight from Helsinki to Rovaniemi, making it relatively easy to access with Finnair’s four different flight options per day. 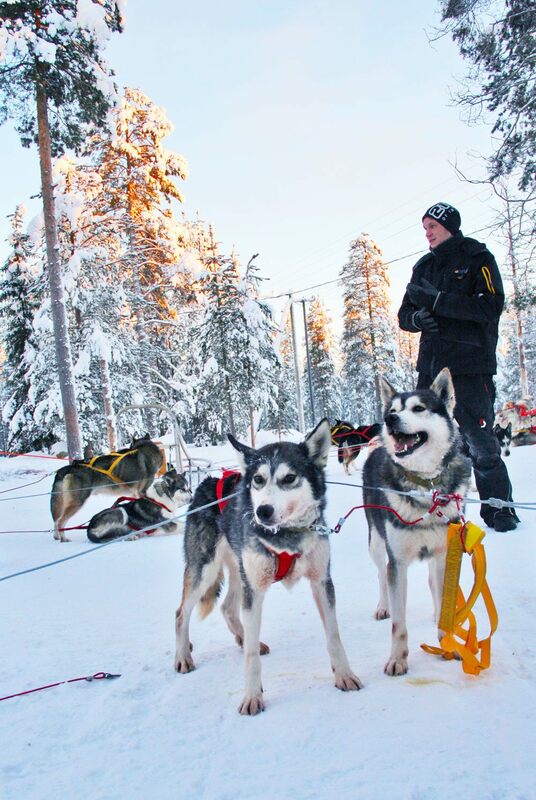 Read more about Lapland, and how to experience the magic of it in Rovaniemi, the capital of Lapland. Rovaniemi is the official hometown of Santa Claus, and a vibrant modern city on the Arctic Circle. 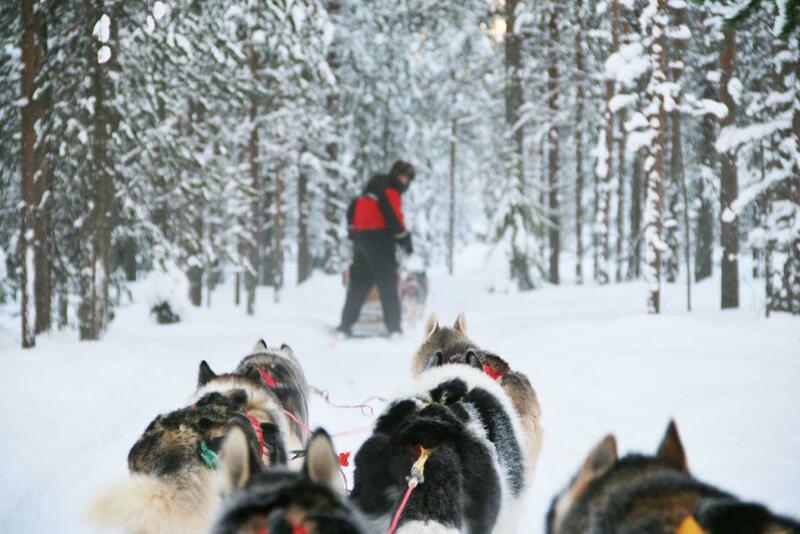 Before you can quite understand the vibe of Rovaniemi, you need to know about Lapland. 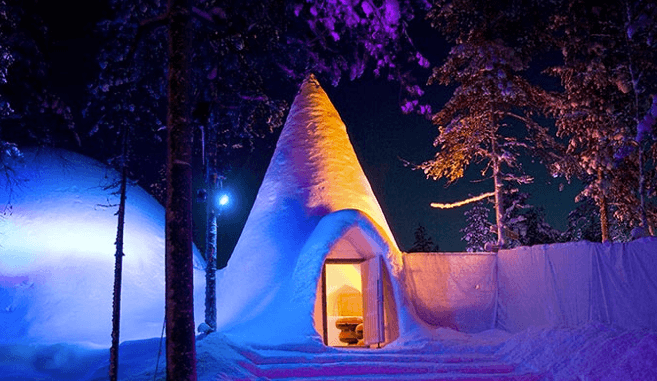 There is no magic quite like the magic of Arctic Lapland in Finland. Lapland in Finland is the northern-most area starting from the South of the Arctic Circle and sized larger than the entire United Kingdom or about the size of the state of Kentucky. The area is Arctic tundra, where reindeer roam free, the temperature gets rigid cold during the winter months (all the way down to -50C/-58F), and there is sunshine 24-hours a day during summers. Lapland is the wild North, where you can find the peace and serene Arctic nature. 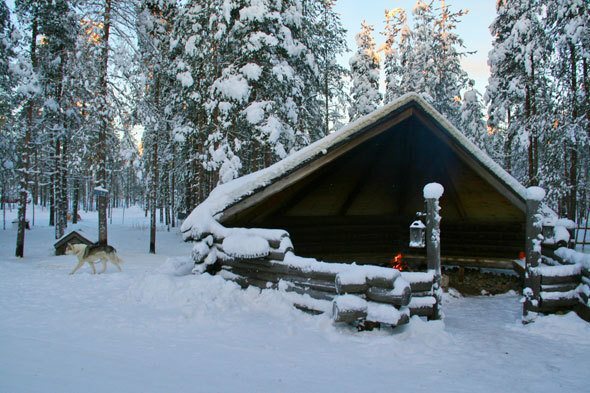 Only 184,000 people live in Lapland, and if you compare it to the similarly sized United Kingdom with a population of over 63 million or the state of Kentucky with over 4 million, you are sort of starting to get an idea how sparsely populated Lapland is. Your next door neighbor can live 20-50 miles away and the closest hospital can be hours away. Lapland has several smaller towns and ski towns in the mountains, but Rovaniemi is by far the largest city, and one third of the population of the entire Lapland lives in Rovaniemi. 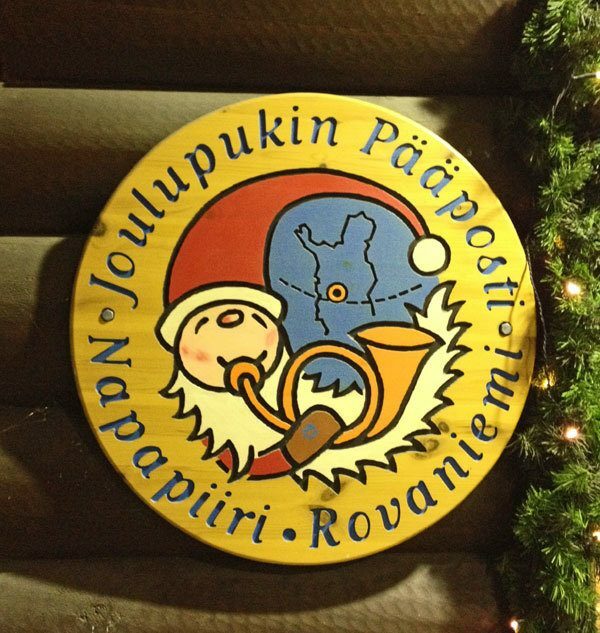 Santa Claus really lives in Rovaniemi (even if you send a letter to Santa to “North Pole” it arrives at his main post office in Rovaniemi), but Lapland is also where the Sami people have lived for at least 5,000 years, and still do today. The Sami are the only indigenous people of Scandinavia recognized and protected under the international conventions of indigenous peoples. 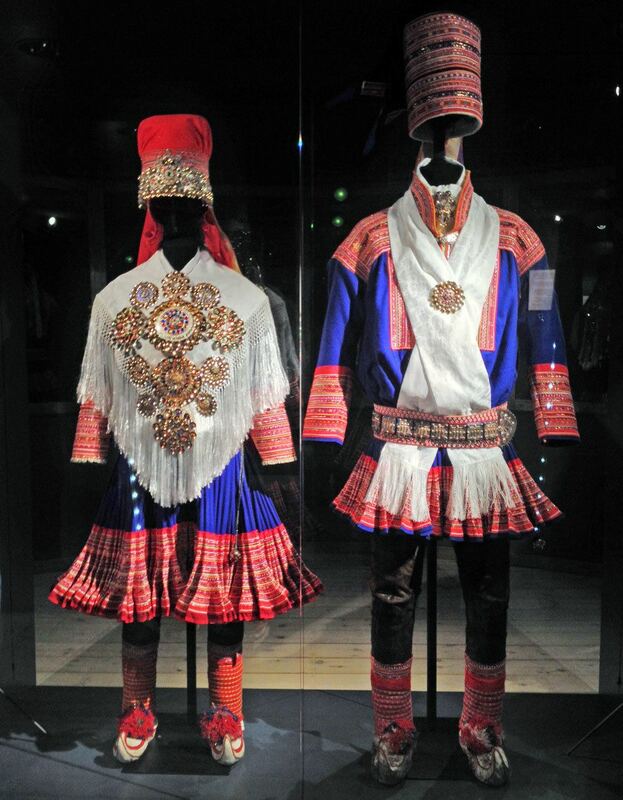 The Sami people have their own culture, traditions and language apart from Finnish culture, but the influence of the Sami people (also spelled Sámi or Saami) can be seen almost everywhere in Lapland, and their traditions are still kept alive today, although there are less than 10,000 Sami people in Finland today. Are you now starting to get a feeling of this place…? 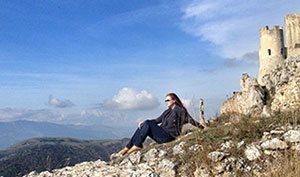 Santa Claus lives here, there is history spanning 5,000 years, wild nature with cold dark winters and summers full of Arctic sunshine – combined with modern society and modern architecture, may I add! 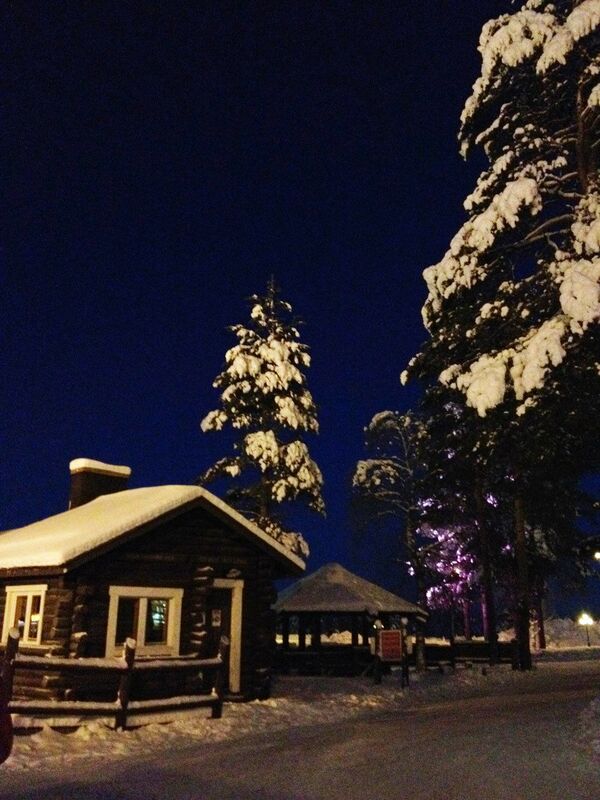 Magical is truly the word to describe Lapland. 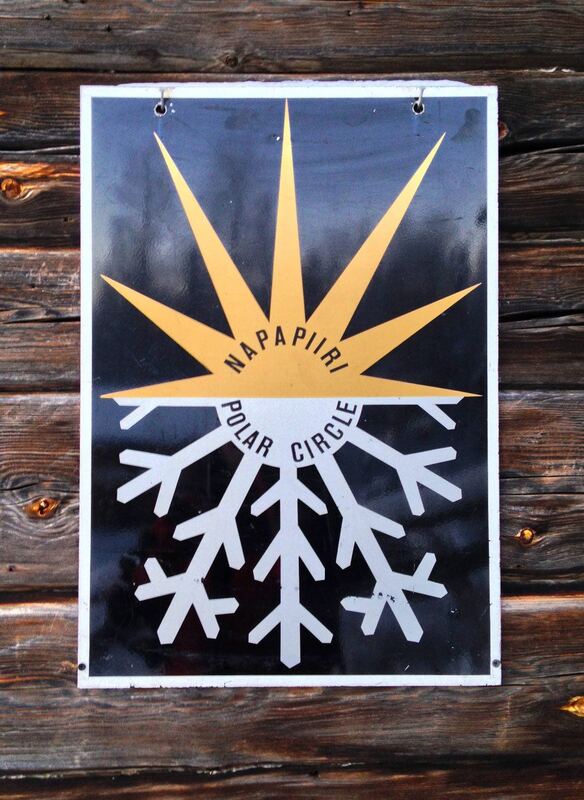 Even for us Finns, Lapland is like a whole another country. The best way to experience winter in Lapland is by skis and head to smaller ski towns like Ruka, or Levi. If you are not a skier and want to experience Lapland in a quick weekend trip to Rovaniemi, and want to see the nature, combined with a good adrenaline rush, the second best to skiing is heading out to the frozen forests and on the ice of the lakes by snowmobile. 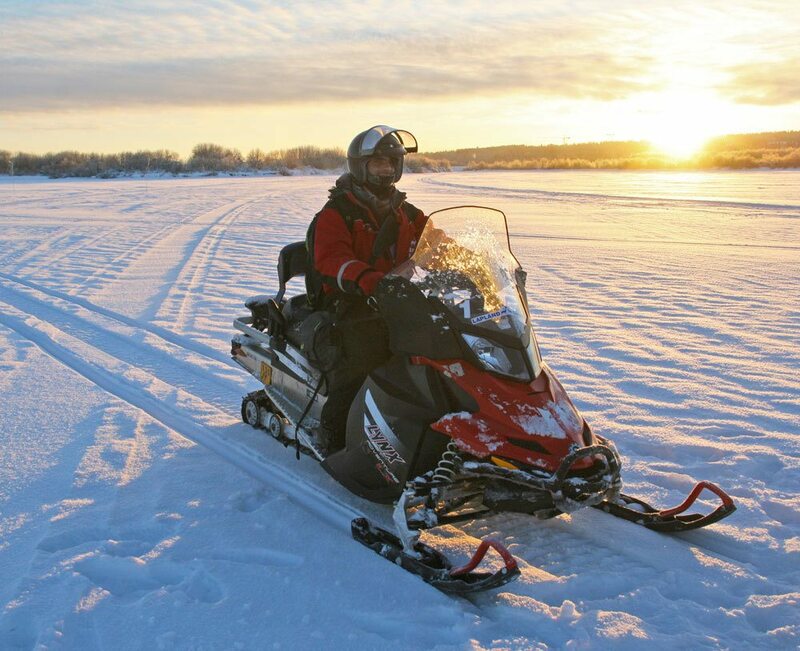 Lapland Safaris organizes snowmobile safaris that take you out to the scenic forest and combine the snowmobiling fun with a visit to husky or reindeer farms or even ice fishing adventures. We visited a husky farm, and took the beautiful huskies out for a short ride and it was my favorite experience on this short trip. I have previously visited reindeer farms, and I highly recommend also experiencing that. I think the reindeer sleigh experience might be more exotic in that sense that you don’t see reindeer that often, kids love riding the “Santa’s sleigh” and especially if you travel to Rovaniemi to meet Santa Claus, well, you just have to take the reindeer ride as well. 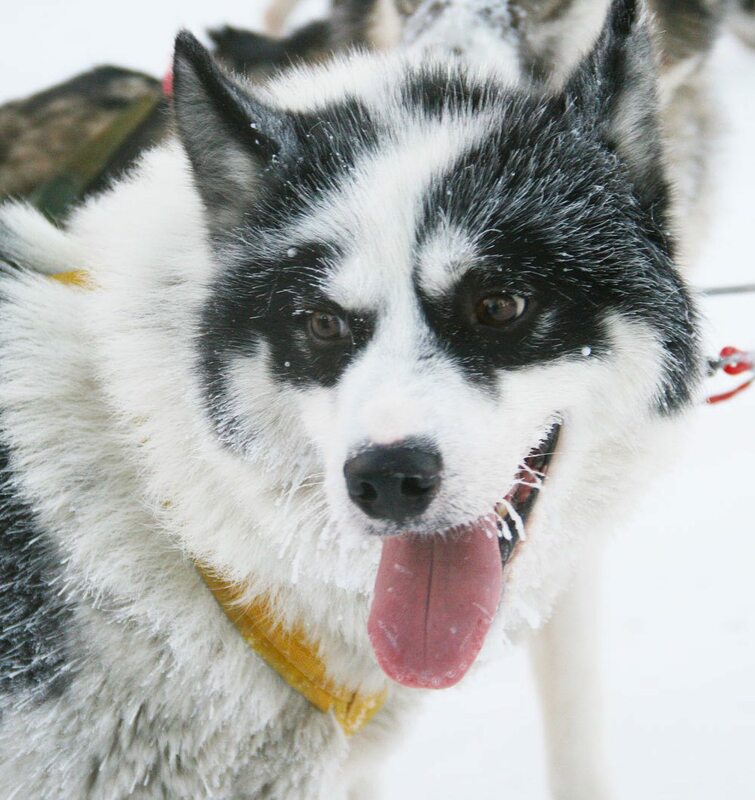 I, however, loved the husky safari the best, and how we were given the team of dogs and the sleigh, and we got to be mushers. It was truly a winter wonderland experience I will never forget as the beautiful dogs were pulling us through the frozen forest as the afternoon sun was already starting to set behind the trees. I was one of those experiences when you just couldn’t stop smiling, even though your face was halfway frozen. The best was that I don’t know who smiled the most – us humans, or the dogs. The huskies absolutely love to run, and part of the heartwarming experience for me was to see these beautiful dogs in their element and living life to the fullest. The food in Lapland is simple, but good. Try local delicacies like loimulohi, salmon cooked on open fire, often for hours by nailing it on a piece of wood and placing it right next to the fire and letting the smoke and warmth from the fire cook it, instead of broiling or grilling it. If you can find bear sausage, try it, and mushroom soup with chantarelle mushrooms is another must eat. The dishes are prepared simple letting the exotic ingredients shine. 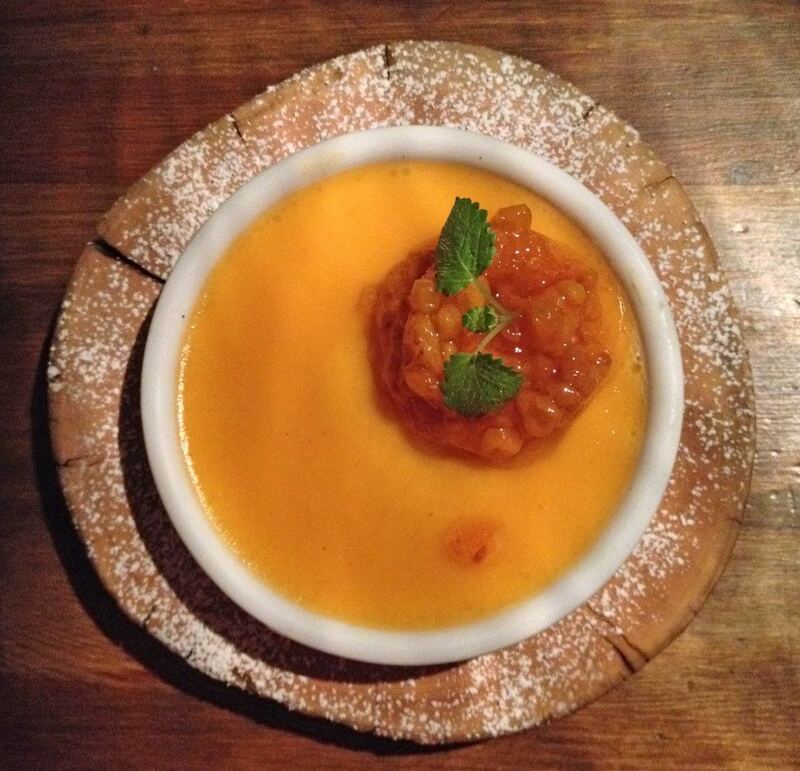 Reindeer stew with lingonberries is another dish to try, but leave some space for desserts like cloudberry creme brulee. We ate at the restaurant Nili, and everything was excellent. 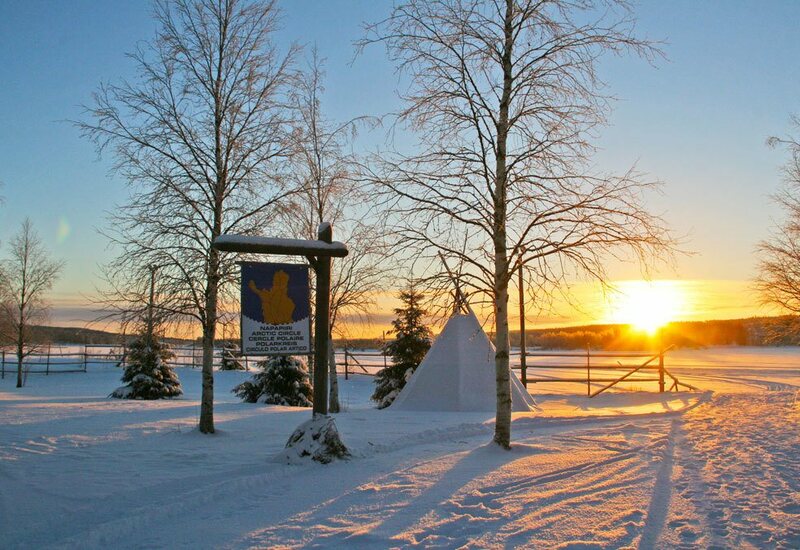 During the darkest time of the year from November to January, the sun sets in Lapland already around 2PM. 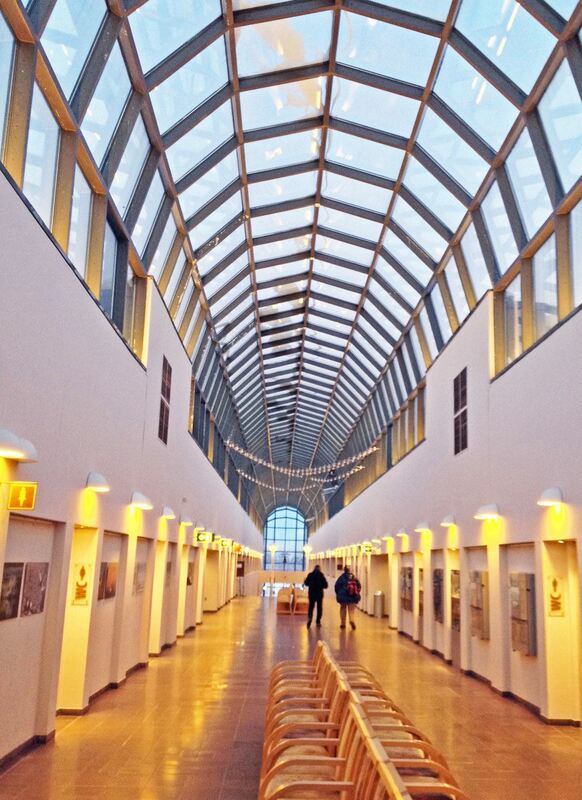 The cold outdoor temperature and the darkness can make the modern indoor museums quite attractive for many, and Rovaniemi has several modern museums to choose from. 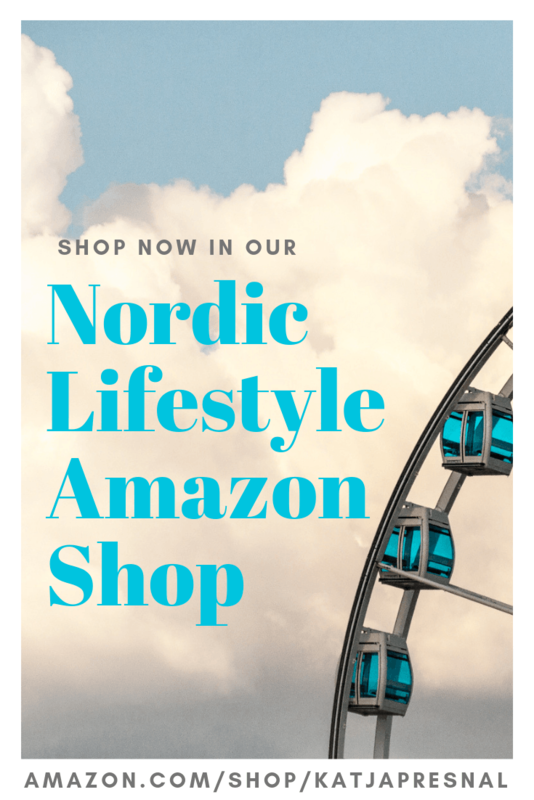 We visited Arktikum, a museum and a science center focusing in the history and culture of Lapland, and Arctic life, where you can get a better understanding also of the Sami culture, and the science behind the Aurora Borealis, the northern lights. The Northern Lights light up the sky over Lapland on up to 200 nights of the year, and on approximately one out of three nights in Rovaniemi. According to Visit Rovaniemi, a good place for seeing the northern lights in Rovaniemi is on the riverfront right behind the Arktikum museum, near Rovaniemi center, but there are several companies who offer northern lights tours by a reindeer sleigh or by snowshoeing. Unfortunately, we didn’t see Northern Lights on our trip. The evening time in Rovaniemi is magical nevertheless. Head for outdoor adventures, whether it’s sledding in lighted hills, or guided tours in the forest. 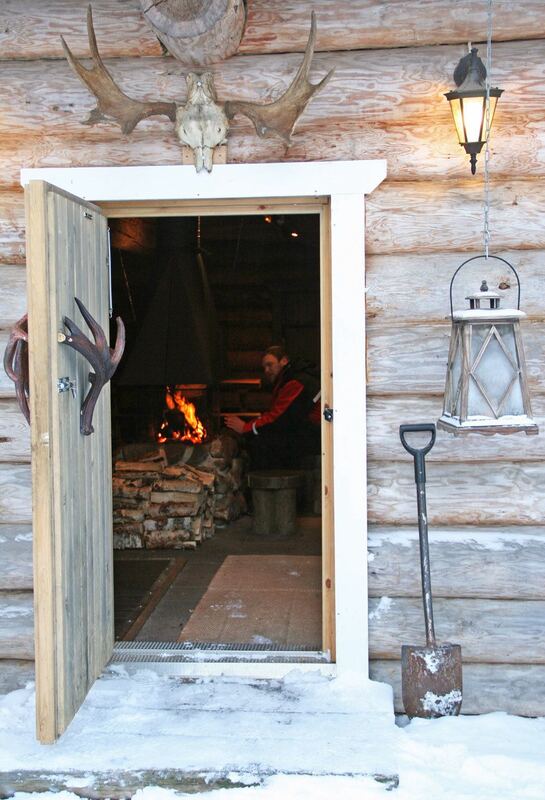 Of course, nothing wrong about cozying up by the fireplace, and enjoying another true Finnish experience: the sauna. 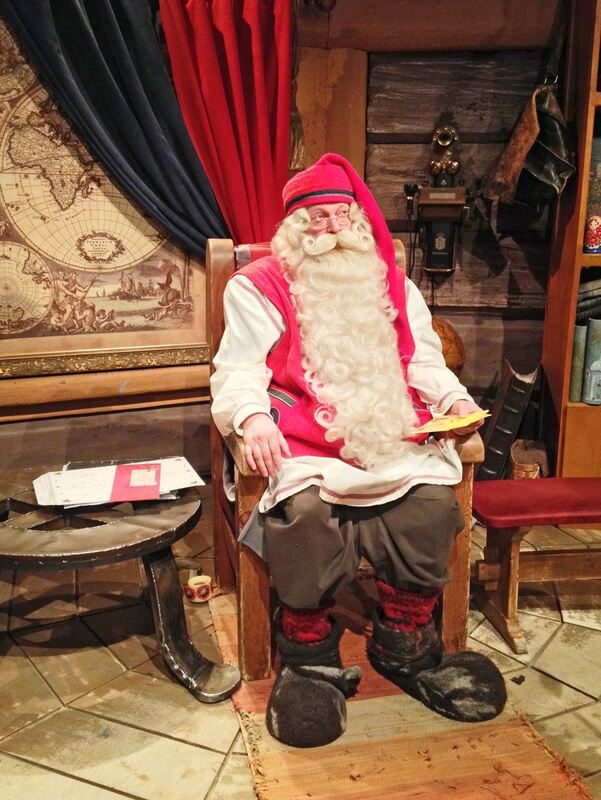 You can’t visit Rovaniemi without seeing Santa Claus. If you are traveling with the kids, head to SantaPark in the underground caves to visit Santa Claus, and where kids can learn how to become an elf. SantaPark is an indoor amusement park with only one magical ride, but many hands-on experiences, where children and adults alike can experience Christmas, everything from learning to write calligraphy to baking gingerbread cookies. 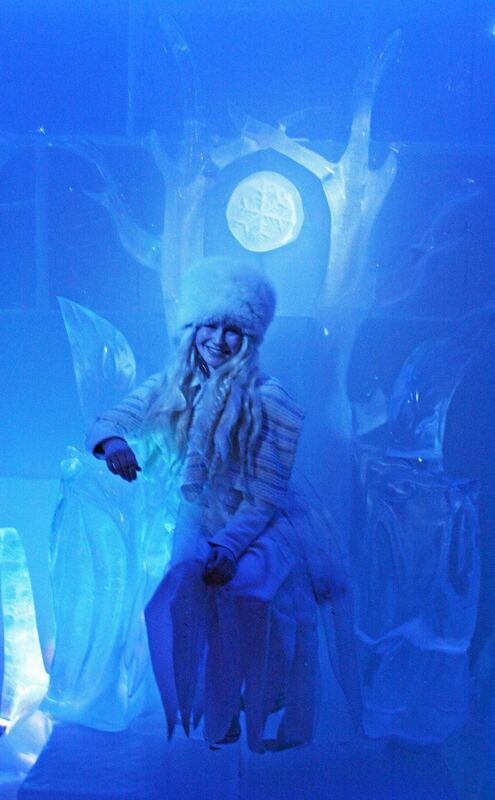 You can also meet the Ice Princess and enjoy some frozen drinks at the ice bar. You can find Santa’s post office, restaurants, play areas for kids and much more at SantaPark. You can get a family ticket for 57 euros (max. 2 adults + 4 children), and for a full day of Christmas fun, it’s very inexpensive. 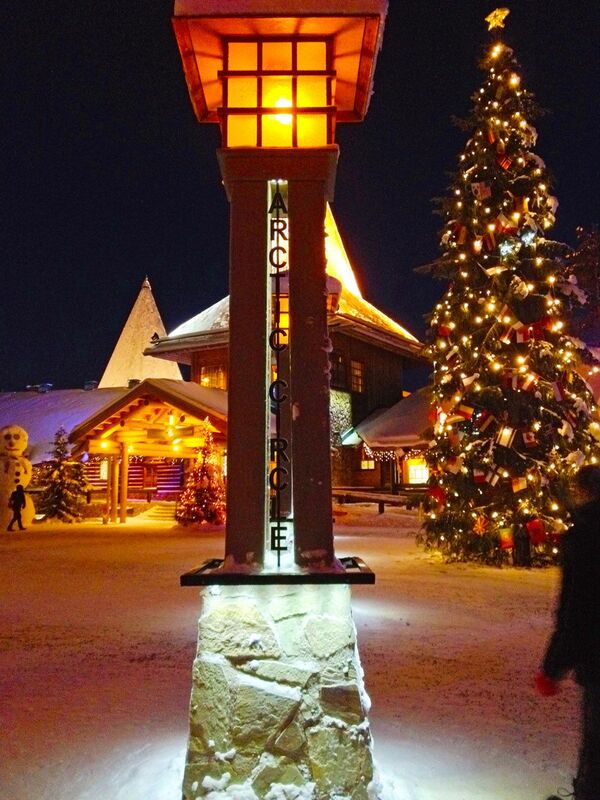 However, there is also a free way to see Santa Claus, in the Santa Claus Village. 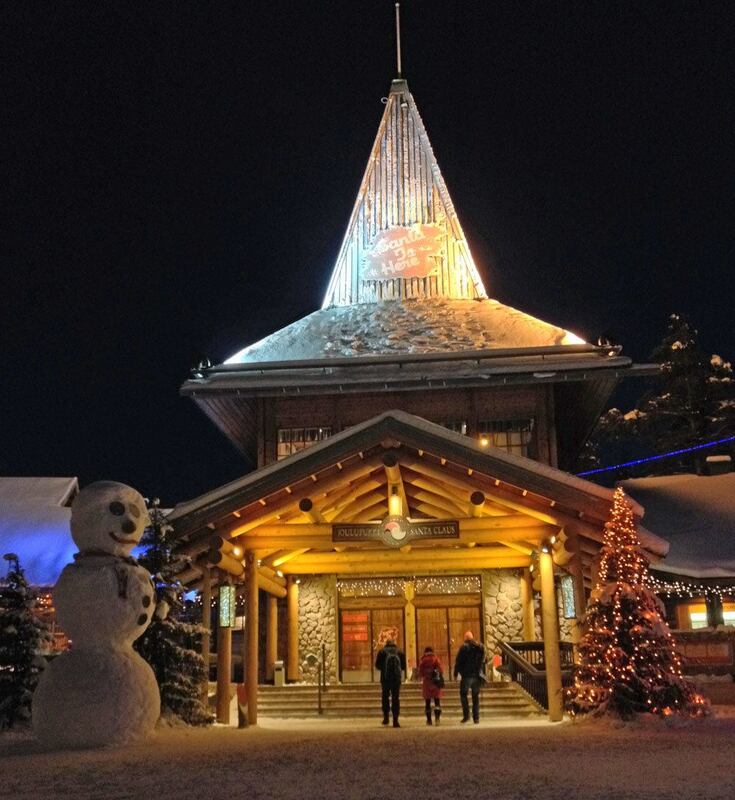 Santa Claus Village is a Christmas experience village, where you can meet Santa, shop in several stores, eat in the restaurants and you can even stay over night in the Arctice Igloo. We vised Santa Claus in mid-January and it really was the perfect time – it felt Christmassy, there was snow everywhere, but no people. November-December are the busy season to see Santa, and I can only imagine how crowded both the SantaPark and Santa Claus Village are then. We barely had to wait to see Santa on a Tuesday night, and it was a very pleasant experience, but the indoor walkway to see Santa was very long and I can only imagine the reason: the line to see the real Santa (for free) must be agonizing long. Also, while seeing Santa Claus is free, you are not allowed to take photographs of Santa, and you will have to pay for the professional photos. It is worth the visit for sure, but just be prepared for long lines during busy holiday times. One of the great things at the Santa Claus Village is the Santa’s Official Post Office. This is where Santa receives a half a million letters from around the world each Christmas. No, really, all of the letters that are mailed to Santa Claus through regular postal service from around the world end up in this specific post office, and it is part of the official Finnish postal service, and the Finnish Post employs four full time postal employees in this location, just to handle Santa’s mail. What’s even more remarkable – every single letter is read by Santa and his postal helpers, and annually around 30,000 people are answered back. I asked Santa who pays for all this, but Santa doesn’t want to talk about money at all. The post office ladies told me that the Finnish Post and the Finnish government pays for this service to keep the idea of Santa alive for the children, and adults, around the world. 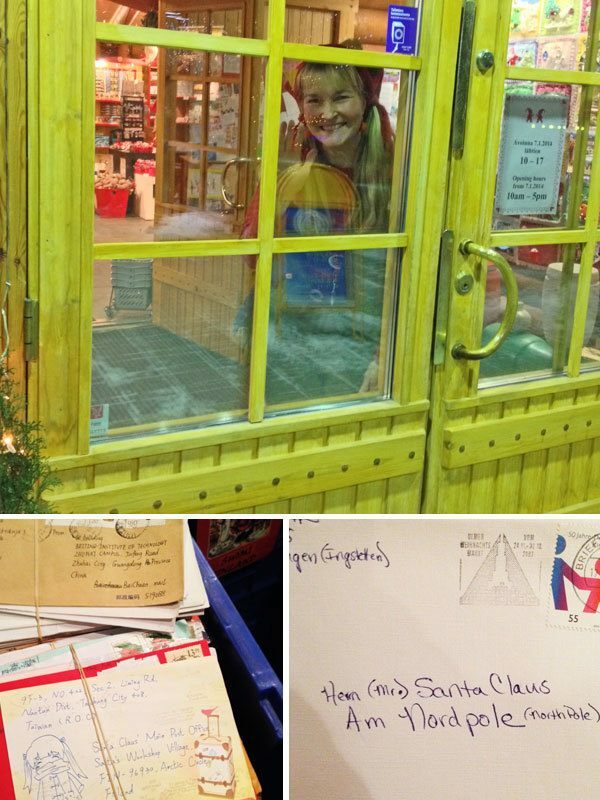 A real letter from Santa also works as bringing tourists to Rovaniemi – many people arrive to the Santa’s Official Post Office with a letter in hand that they received from Santa to see the place in their own eyes. It’s easy to believe in magic, when you see it with your own eyes. 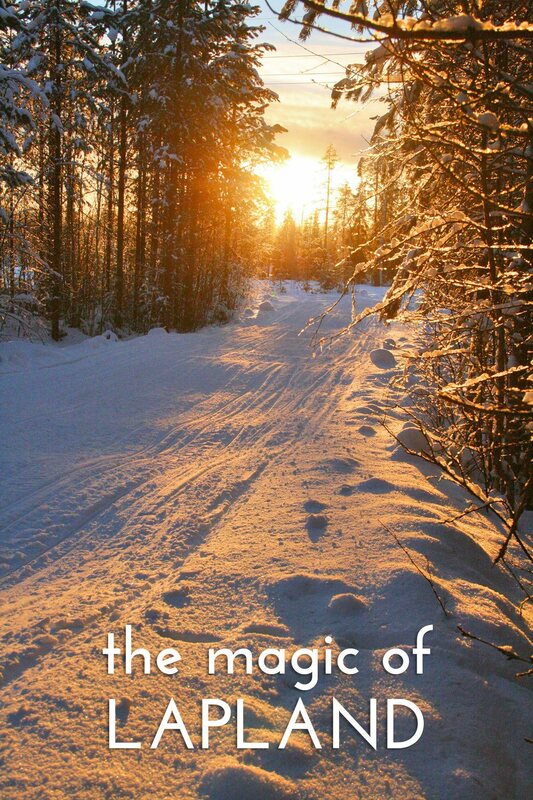 Rovaniemi in Lapland for sure offers magic for everyone, regardless of your age. Disclosure: I visited Rovaniemi as a guest as part of the Nordic Bloggers’ Experience. Thank you for your recommendations! I’m going to Rovaniemi today in a few hours and didn’t know what to do. Will definitely book myself for husky rides, Santa’s village and I hope I get to see the northern lights. I the great pictures !! Wonderful work! Amazing photos. I look forward to visiting Rovaniemi and Lapland one day. I can’t believe I’ve never seen it! !